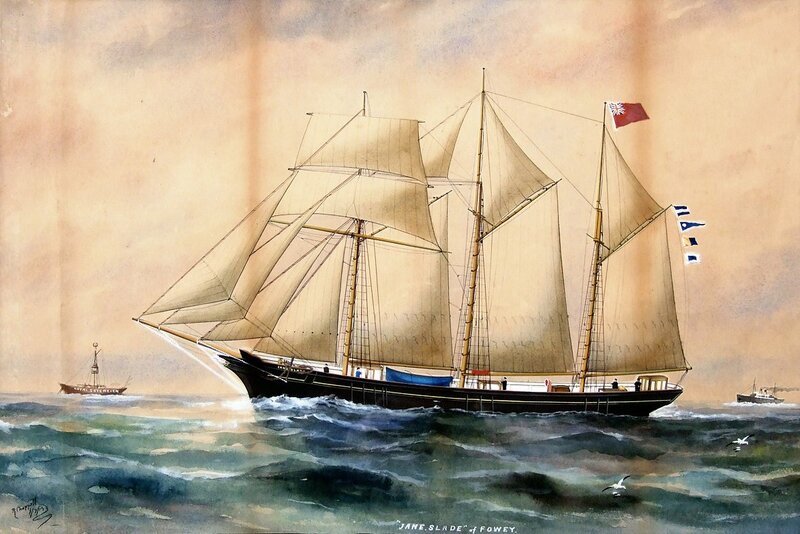 The National Maritime Museum Cornwall has been presented with a watercolour of the Jane Slade by Reuben Chappell. 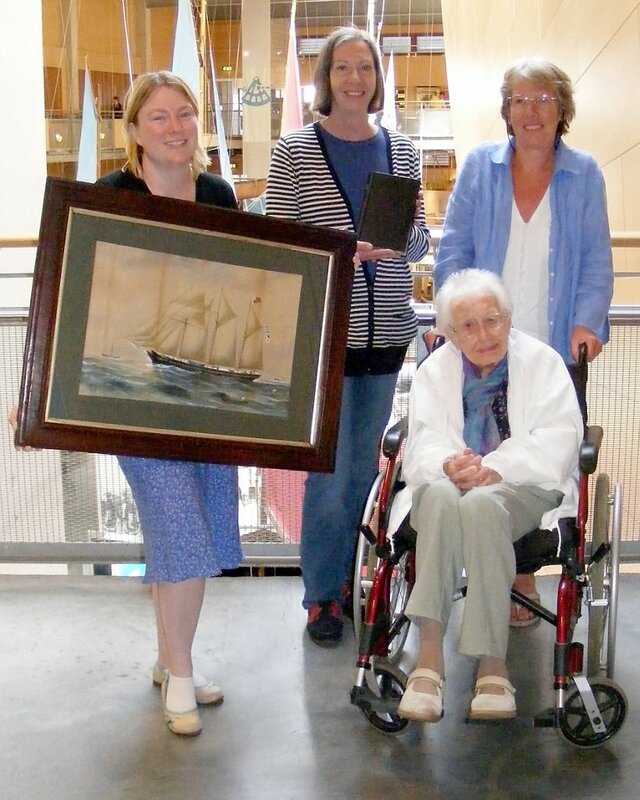 The donation came from Mrs G Adams, whose husband was given the painting by Ernie Slade of Slade’s Boatyard, and came with book entitled Practical Navigation. The museum’s notes on the painting reveal that the Jane Slade was named after the only woman shipbuilder in Cornwall, and that she who took control of her family’s business on her husband’s death in 1870. Her legacy lived on through successive generations of shipbuilders, repairers and mariners and in this ship named after her. Jane’s story inspired Daphne du Maurier’s first novel The Loving Spirit. Reuben Chappell (1870-1940) is one of this country’s best known pierhead painters. An artist who spent his entire working life making portraits of ships for seamen, his work is in the best tradition of pierhead painting painted not for galleries or art collectors, but for the men whose lives and livelihoods were intimately entwined with the subjects of the painting. Chappell lived and painted in Cornwall from 1904 until his death in 1940. The book dated 1852 is believed to have been owned by Jane Slade’s son Thomas, one-time captain of the schooner. Inserted inside are four pages which relate to Thomas receiving his Master Mariners Certificate headed Plymouth School of Science and Navigation – these are an extremely rare find.